Christmas presents! My wonderful son in law found this for me in a second hand book store in D C.
The cover is as equally wonderful--a printed cotton. The book was published in 1887. Also known as rainbow or fondu prints, these shaded grounds were originally done in the 1820s with wood blocks. The use of roller technology combined with steam printing led to evermore fanciful designs in the 1840s. 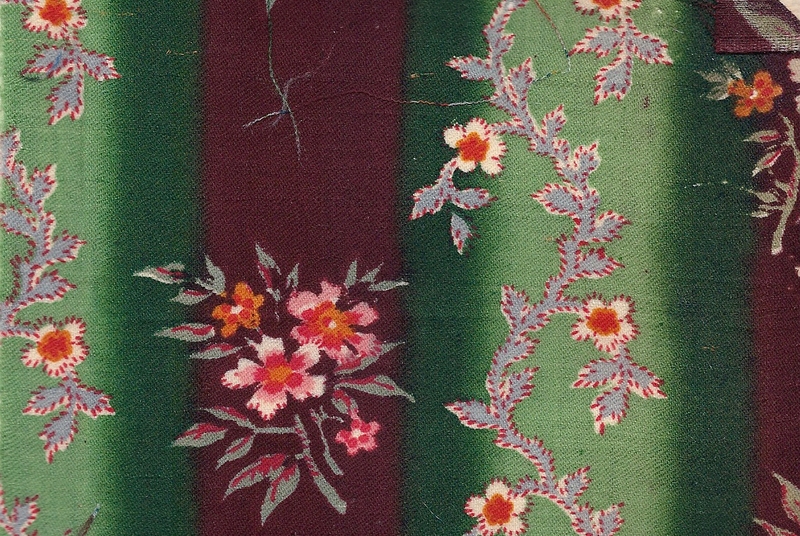 Simple stripes were eclipsed by subtle to strong ombres under florals, geometrics, paisleys and plaids, medium to large. I think many of us easily these delightful fabrics in Baltimore Album style quilts. Simple shaded fabrics provide dimension to vases and urns as well as baskets and buildings. 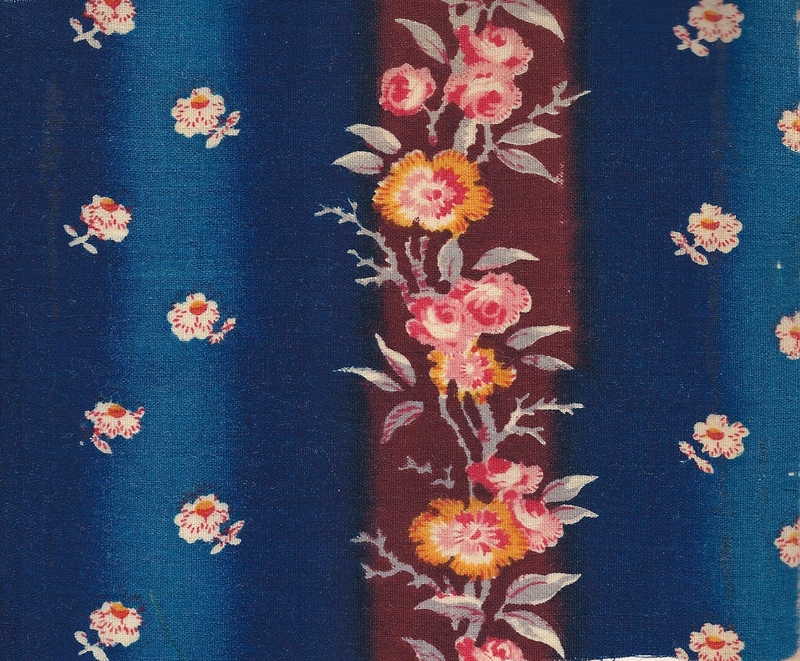 I love looking at how creative fabrics designers were with this element in several of my early/mid 19th century sample books. Their use as dressgoods was very popular in America from 1840-1860. I do, however, find actual pictures of these dresses a bit startling! See '1840s Day Dress from Bower' about 3/4 down the page. 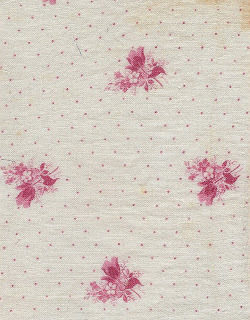 Double pinks were a perennial favorite throughout the 19th century. 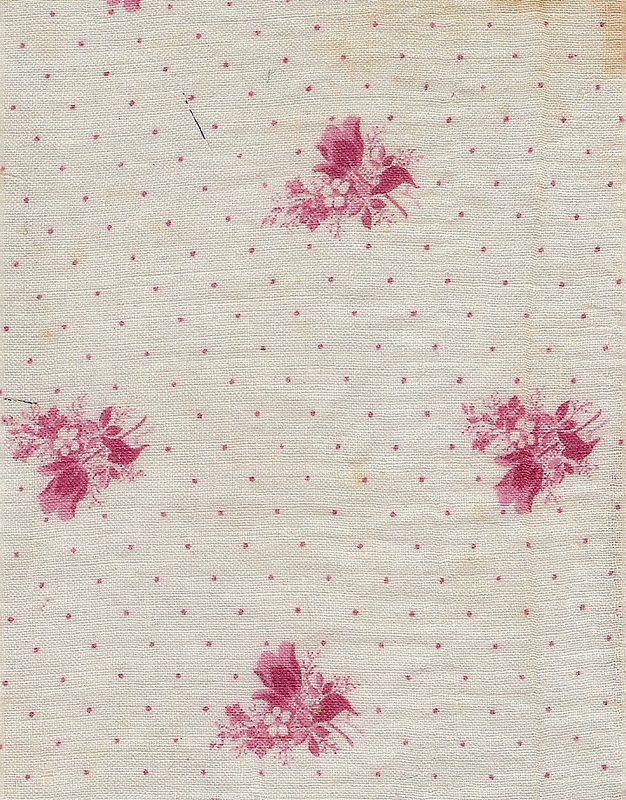 Cloth printed with two strengths of an alum mordant, weak for pink and stronger for red, was processed in a madder dye bath, producing a print with two shades of pink. My current line, Little Pink Stars, is based on an assortment of double pinks in the Little Pink Stars quilt. 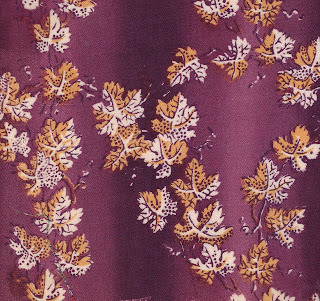 These fabrics were collected by my friend Bette Faries in the early 1970s. The earliest prints are c 1840; others from mid to late century. Bette hand pieced all the stars. When she started to put the quilt together in the late 1970s, it was too pink even for Bette. She went back to her pile of vintage fabrics and added in some beige/taupes, browns and a sprinkle of indigo stars. I did the same as I was developing the line. This line is selling well and I am now picking possibilities for a second line. This sweet double pink shirting or light is on the short list. 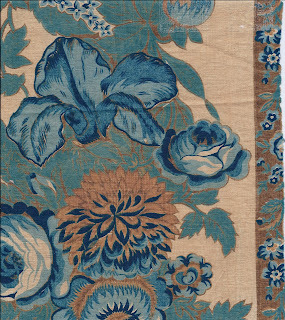 Prussian blue and iron buff furnishing fabric--a bright mid 19th century blue with dull tan--which was printed in the raised style. The first dye printed on the fabric was Prussian blue. The second step, a discharge of some of the Prussian blue, left the tan coloration. This was a popular mid 19th century color for both clothing and furnishings. 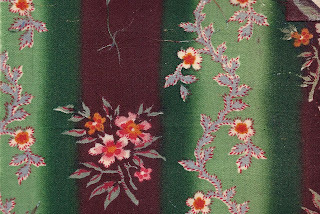 These fabrics are seen in quilts from 1840 until the end of the War.